Corporate event facilities often overlook the number one needs of a corporate gathering: food and service. 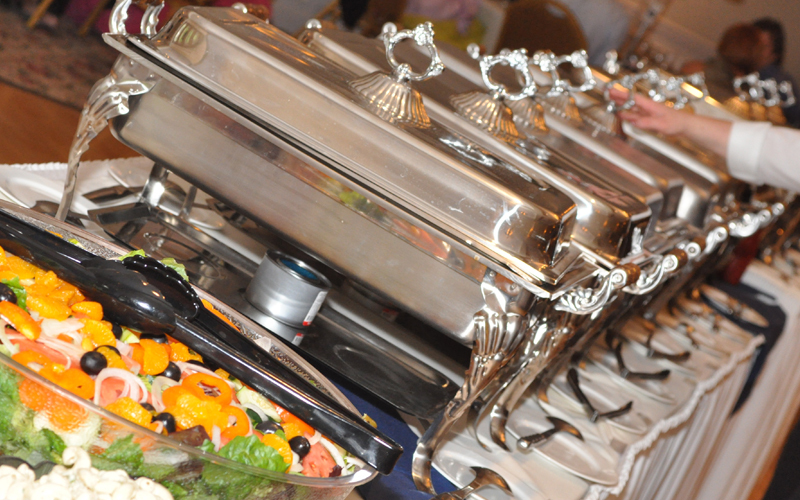 At Testa’s Banquet Facility in Southington, Connecticut we go above and beyond to guarantee your corporate guests are in a comfortable environment with the very best food and service in Connecticut. Our menus feature common appetizer favorites to classic main dishes. Serve our famous meatballs and sauce and you’ll have pleased, and very full, guests! All of the food served at Testa’s is fresh and homemade in our kitchens. This means your corporate guests will be more excited, alert, and attentive during your corporate event. Whether it’s an office party, holiday party, seminar, or conference, we’re able to serve your guests with the menu of your choice. We even have a specific corporate luncheon option for those day events that still need a nourishing meal for their guests. Want to get your corporate guests on the dance floor during your event? Add a DJ to your corporate package and our house DJ of the last 10 years will keep your event going with fresh music, great motivation, and the experience to make every Testa’s event a resounding success. Contact us for more information on booking your Connecticut corporate event. We are more than happy to give you a tour of our facility and show you just how well we can work together to have your corporate event be a complete success!